Monitoring high-temperature low-sag (HTLS) composite transmission lines used to be extremely challenging for electrical service providers. Optical sensing aided with Fiber Bragg Gratings (FBG) and novel algorithms is a recent technology that simplifies this process. 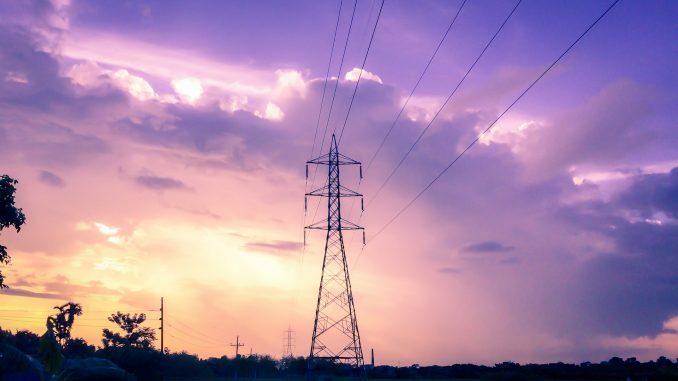 The method was developed through a concerted effort between the National Science Foundation and other research centers in the University of Denver after continually testing efficient strategies to monitor and maintain transmission lines. Without accurate monitoring and timely maintenance of transmission lines, the power grid is left vulnerable to damages and failures from mechanical and environmental forces. The list below includes common conditions that compromise the structural integrity of conductors. When these issues are not addressed on time, they eventually lead to major power disruptions and other service and delivery failures. This new model uses embedded optical sensors in transmission lines to enable real-time monitoring. This improved method of examining transmission cables addresses the limitations of traditional monitoring and maintenance methods. Optical sensing is advantageous to use in high-voltage environments like electrical transmission wires because of the technology’s resistance to electromagnetic interferences. Optical sensors also have low attenuation tendencies regardless of the environment, which makes them appropriate for monitoring power transmission infrastructures. In addition, Fiber Bragg Gratings (FBG) intensify the optic fiber’s immunity to strong electric fields. This makes FBG-enhanced optical fibers suitable for applications for HV applications like towers and insulators. Signals from static and dynamic loads are processed and transmitted by optic sensors then used to identify existing or potential strains. Fiber Bragg Gratings (FBG) that are attached to 250-micron optical fibers also allow remote monitoring of line temperature and strains. Maintenance teams can accurately measure stats from a distance of more than 2 miles, eliminating many risks of electrical maintenance, including staff injuries and damage to conductive materials. The FBG also allows monitoring teams to pinpoint the exact location of impacts and other dynamic events. The readings on fundamental frequencies reveal irregularities in the strain responses. This can be used to examine the structural integrity and health of a transmission line. It is also useful for improving monitoring and maintenance processes for conductors, especially ACCC. This new optical sensing technology is enhanced with novel algorithms that project not only linear heat signals and electrical frequencies but arbitrary load conditions in three-dimensional cylindrical structures. This method is designed for accurate monitoring of aluminum steel-reinforced cables and other standard overhead conductors in the grid. Algorithm-Aided FBG Optical Sensing represents a step forward for the electrical industry. Effective and accurate monitoring of transmission lines secures the safety of electrical workers and ensures a reliable supply of energy for end users. For you and other electrical service providers, this effective and efficient method promises better prospects in terms of sustainability, profitability, and cultivation of customer trust and loyalty.